SafeAway supply a range of specialist storage cabinets & CoSHH storage cabinets for products and substances hazardous to health. 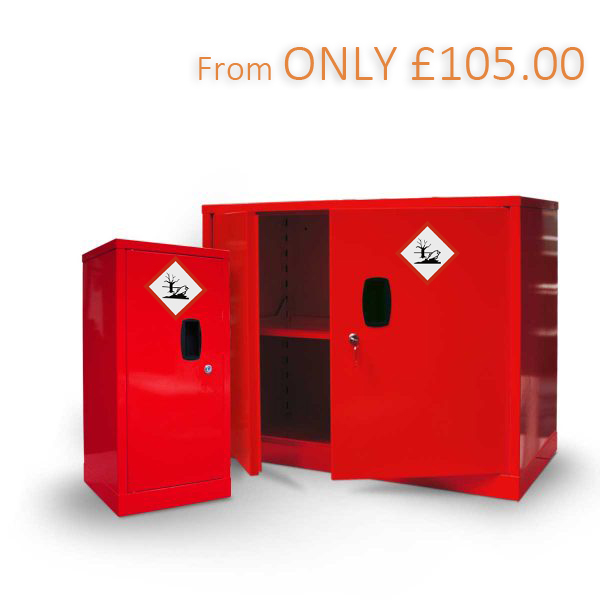 Our comprehensive range of hazardous (CoSHH) cabinets are specifically designed for the storage of Flammable liquid substances, Paints, Chemicals, pesticides, insecticides and other hazardous substances. It is a legal requirement of employers to ensure that hazardous substances storage is provided and correctly implemented. The Control of Substances Hazardous to Health (CoSHH) regulations require hazardous substances to be stored in separate containers built to the requirements set out within the regulation. 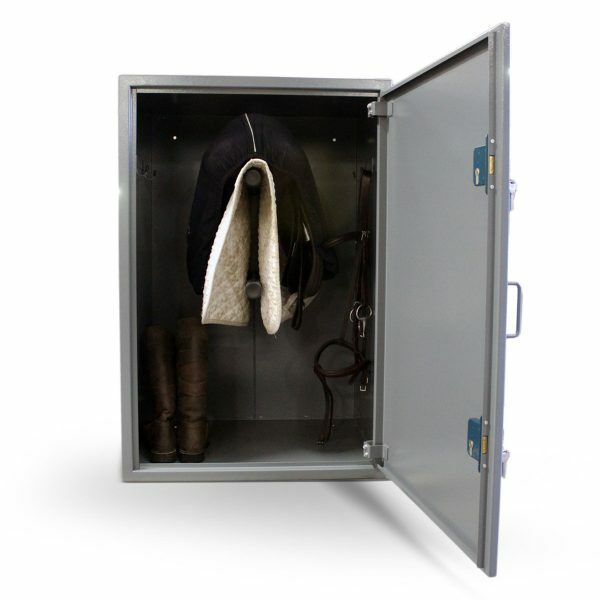 CoSHH Storage cupboards are designed especially for hazardous substances storage . Our purpose made CoSHH cabinets improve the safety of staff and the overall working environment they also ensure you are working to the requirements set out by the Health and Safety Executive within the CoSHH regulations. All of our CoSHH cabinets are manufactured in the UK from mild steel and come supplied with the relevant BS compliant warning labels to help your workplace control hazardous substances. 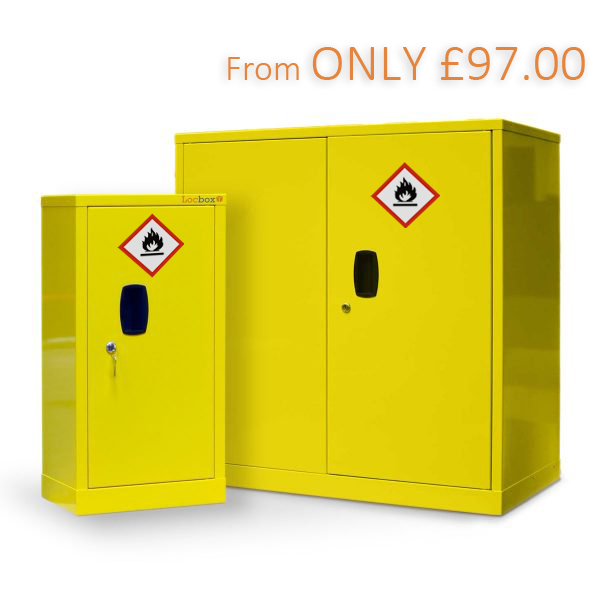 Below are some of our most popular CoSHH storage metal safety cabinets, or use the menu above to view our full range of storage cabinets. All our Hazardous CoSHH cabinets comply with the relevant guidelines set out by the Health and Safety Executive and CoSHH regulations. 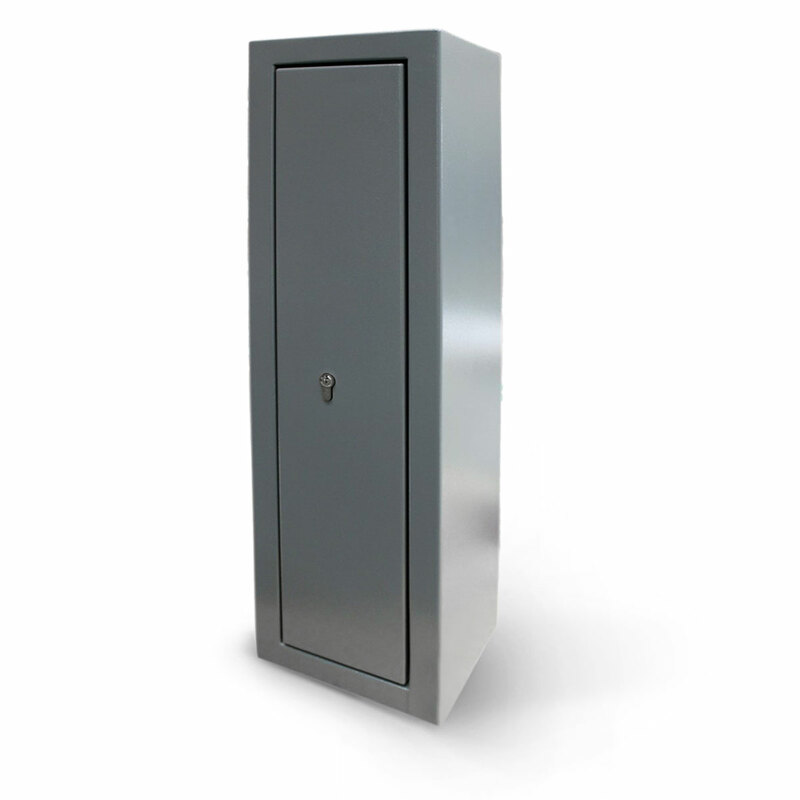 SafeAway focus on a wide range of Storage Cabinets, including medical cabinets, hazardous substances cabinets and Cabinets designed to meet CoSHH safety regulations. Double Door CoSHH Cabinet with Two Half width Shelves.